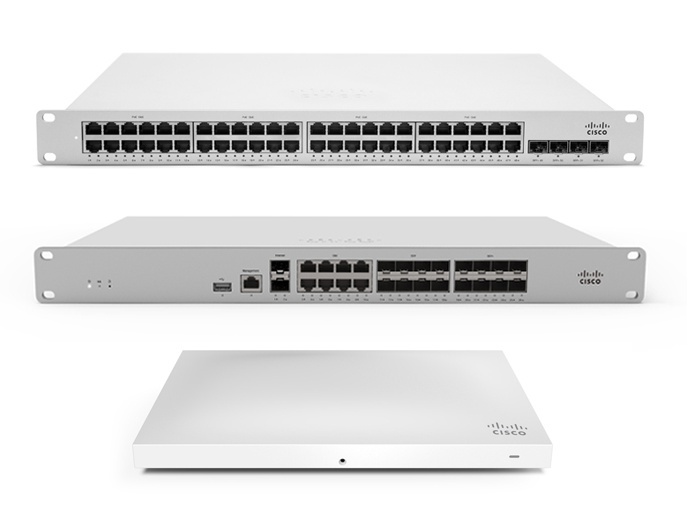 Enjoy effortless networks with Cisco Meraki. 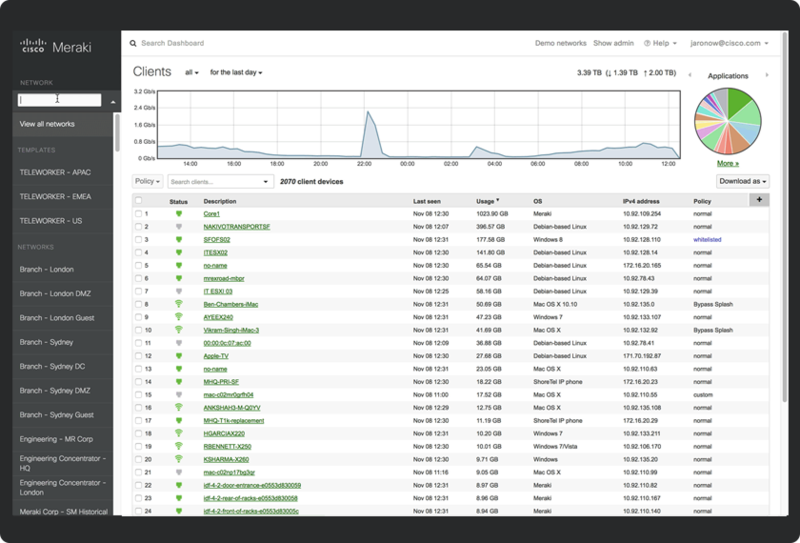 Within Cisco Meraki are several comprehensive solutions, such as access points, firewalls and switches, which can all be managed through Meraki's online dashboard. This allows businesses to increase security & performance and reduce costs. At Cloudswitched, we provide a full range of Cisco Meraki products with a complete end-to-end solution for migrating your network devices to Cisco Meraki. Ready to take your network to the next level? 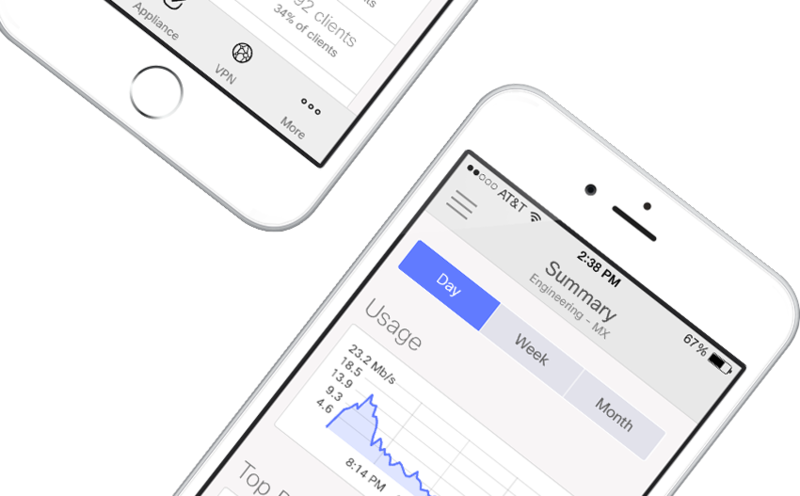 Work smarter, not harder with Cisco Meraki. Troubleshooting is made easy, so you can keep your business moving. For seamless network management at your fingertips, look no further than Cisco Meraki. 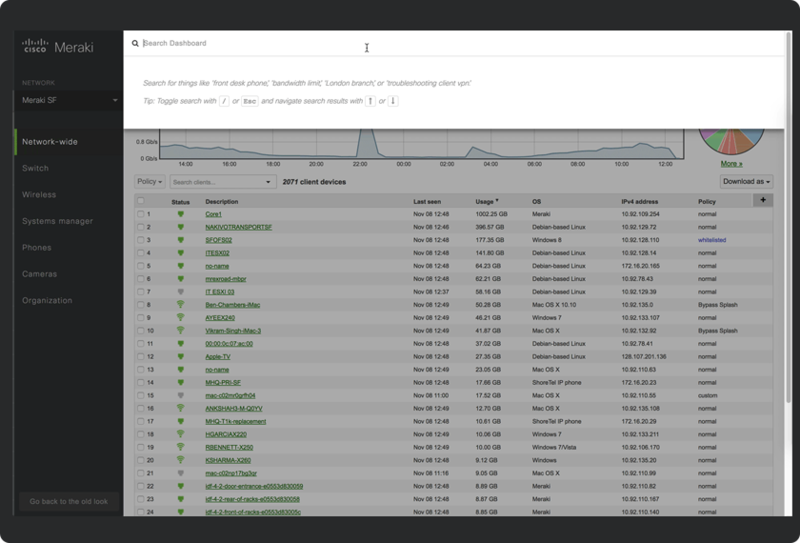 Enjoy ease of use and the ultimate level of control, with a centralised dashboard through which you can effortlessly manage and monitor your networks. We offer a unique and complete end-to-end solution for a stress free transitioning to Cisco Meraki. We pride ourselves on offering a value based packaged service, with which we ensure complete satisfaction through the use of a detailed and granular process., so we don't miss a thing! Our workplace integration and optimisation allow you to hit the ground running, promoting business continuity and enhanced performance from the get go. We have multiple Cisco certifications within our engineer base and have completed over 50 successful migrations in the last year. This complete with our transparent licensing setup means you can rest assured knowing your business is in safe hands.